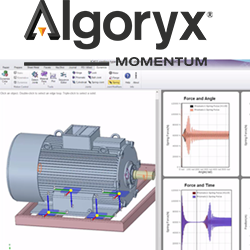 In this webinar we'll illustrate the latest ways engineers are using ANSYS SpaceClaim and Algoryx Momentum for motion dynamics and modern engineering. In more concrete terms, this is about developing, verifying and visualizing the function and performance of mechanical systems prior to manufacture. And ultimately achieving reliable, efficient and hugely successful engineering solutions.